Next week, Halo 5: Guardians will receive it’s first major update titled “Battle of Shadow and Light”! The update releases the week of November 16th and with it comes 48 New REQs & Big Team Battle (8v8). BTB will launch next week with 4 maps made in forge. Those maps are Deadlock, Basin, Guillotine, and Recurve. BTB will function just like Arena – so if you want classic large scale action without the chaos of REQs this is for you. However, if you’re a REQ collecting addict like myself, here are the 48 new REQs that are being added to the game. If you’ve ventured over to HaloWaypoint recently you may have noticed a new item on the home page. There’s a new featured item called Halo 5: Guardians Experience. When you visit the Halo 5: Guardians Experience website an unlisted YouTube trailer plays. Afterwards the site tells visitors to “See and Hear Both sides. Watch all 10 videos to unlock a reward.” The 10 videos are brief clips from Halo 5: Guardians Campaign and they’re narrated by the Master Chief and Spartan Locke. Once you’ve finished watching all 10 clips you’re rewarded with a code for a free Promotional REQ Pack which contains the Vengeance Weapon Skin for the Assault Rifle. Savior? Or Traitor? Two Spartans collide in a battle of beliefs. Who’s right? Who’s wrong? These 10 campaign clips are between 10 and 15 seconds long. 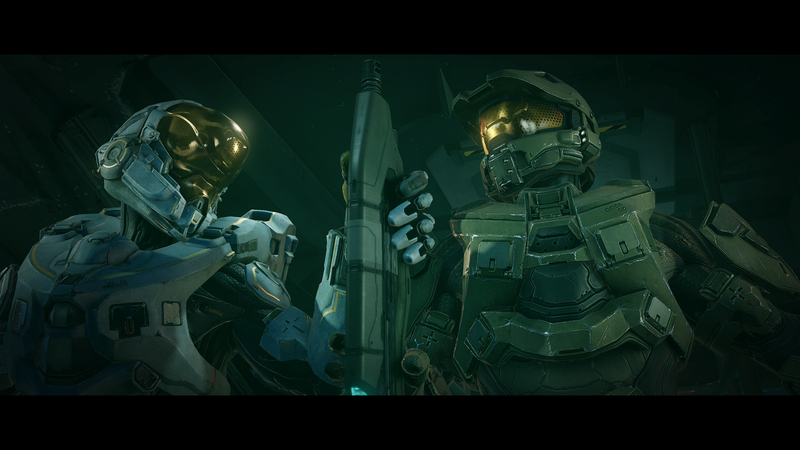 There’s no audio from the scene as they’ve been dubbed over by Master Chief or Spartan Locke. These clips most definitely fall in the spoiler category so be warned. However you must watch all 10 videos in order to get the code for the Promotional REQ Pack. The website does say “While supplies last” so act quickly! When the site first launched it stopped generating codes 30 minutes after the community discovered it. It has since been fixed and is now generating codes. If you don’t get a code don’t worry, almost all of the items in Halo 5: Guardians can be earned through the REQ system. Forge Coming to Halo 5 in December! Halo 5: Guardian’s Forge mode is going to be bigger than ever, giving fan access to new features, tools, and over 1600 objects to play with… when the feature launches. Forge won’t be available when Halo 5: Guardians launches October 27th, the feature will arrive sometime in December. Xbox and 343 Industries are offering an exchange program for those who want to trade in their digital code from the Halo 5: Guardians Limited Collector’s Edition for physical copy! PLEASE DO NOT REDEEM YOUR CODE IF YOU ARE INTERESTED IN SWAPPING YOUR CODE FOR A DISC. This offer is good from October 20 through November 1, 2015. If you’ve purchased the Limited Collector’s Edition of Halo 5: Guardians, you’ll receive the digital version of the game via a redeemable code. This gives you the opportunity to pre-download Halo 5: Guardians the week prior to launch, so that you’re ready to play on launch day in your region (Note This does not grant early access to the game). Remember to keep your console settings to “Automatic Update” so that your console downloads the Day 1 content update in advance of launch, ensuring you’re ready to play on October 27. You have received your Limited Collector’s Edition of Halo 5: Guardians. You have not redeemed the code for the digital version of Halo 5: Guardians. Here’s how you exchange your digital code for a physical disc. Note This offer is good from October 20 through November 1, 2015. Open the Contact Us page. Select “Chat with Microsoft Support” to chat with a support agent. Once you’re connected, inform them that you want to exchange your unredeemed digital code for Halo 5: Guardians for a physical disc. 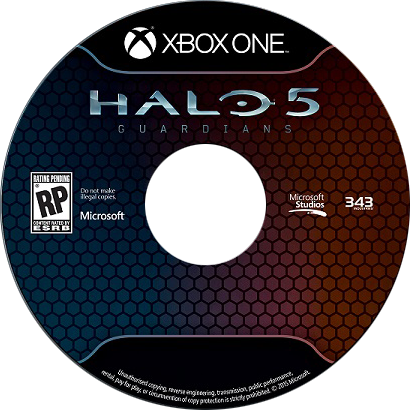 Once the order has been placed, you should receive your disc, along with a code for you to redeem the additional LCE content (Warzone REQ Bundle and Halo: The Fall of Reach), within 3-5 business days. Note If you’ve already redeemed your code for the digital copy of Halo 5: Guardians, you won’t be eligible to swap it for a physical disc. Spartans never die! 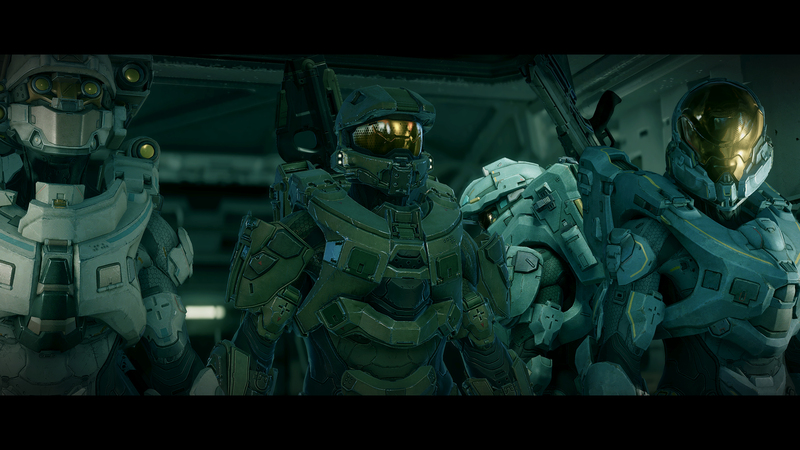 Here’s a new Halo 5: Guardians Live Action Trailer featuring Blue Team and Fireteam Osiris! This commercial was set to air Sunday night during Fear The Walking dead, however the trailer appeared to have been released early via the Xbox One Marketplace today. It was promptly removed, but now official released… most likely due to the mistake. 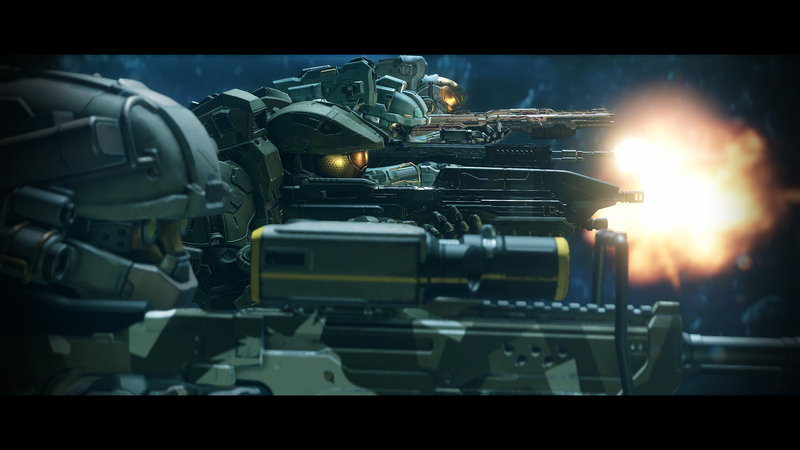 Lots of exclusive Halo 5: Guardians Campaign footage has been revealed today by many media outlets and YouTube channels. I’ll be updating this post with some of the best footage to share for you! Warning, since this is campaign footage this does contain spoilers. So be warned. Although many outlets have removed serious spoilers. Continue at your own risk. 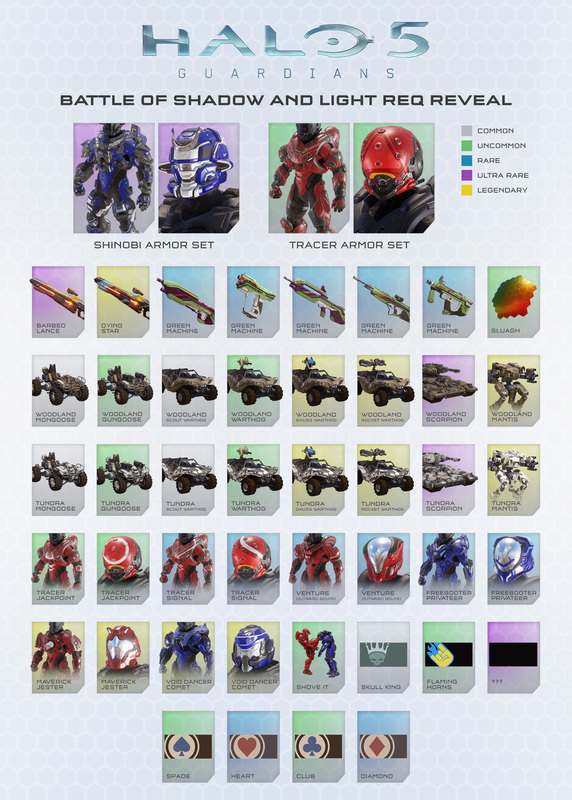 Halo 5: Guardians’s multiplayer features REQ Cards. Here’s a basic overview of the Requisition System.